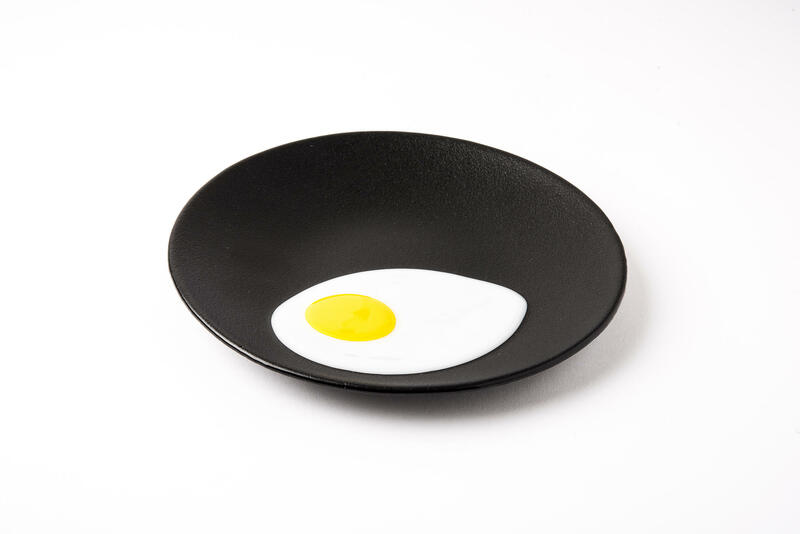 The platter is inspired by an egg frying on a pan, which signifies the morning. Each morning brings with it a new beginning filled with expectation and excitement. 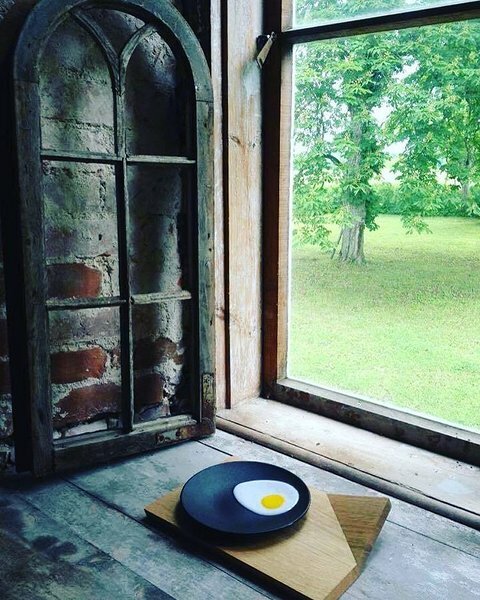 The platter is made using different coloured opaque glass. To highlight the concept, the black glass has been made matt. Vaagnat on kahes erinevas mõõdus.